The Company left Chimborazo Hill with Reg't. Dec 10, 61 for Yorktown by way of James River, on Steamer North Hampton to Kings Landing, marched from there to Yorktown a distance of some 15 miles. Arrived at Yorktown Dec 12, 61. Dec 18, 61 moved from Camp near Yorktown to Camp near Hosp. above wharf where they are now stationed. Jul & Aug 63 Company left Kingston, N.C. Jul 1, 63 when we were ordered to Wilmington N.C. Arrived at Wilmington Jul 13, 63, marched to Scott Hill 12 miles from Wilmington, remained till Jul 31, 63 there, then ordered to Camp Davis N.C., remained there till Aug 7, 63 when we were ordered to Charleston S.C. were we arrived Aug 9, 63, from there were ordered to James Island. Aug 24, 63 ordered to Morris Island, remained there till night of Aug 30, 63. During this time the Company was engaged in skirmish with the enemy, were also under heavy fire from the enemy's Mortar and Land Batteries. Left on the night of Aug 30, 63 on Board Steamer Sumter which was fired on by mistake from Fort Moultrie and the Boat sunk, many jumped overboard and swam or waded to Fort Sumter, fortunately all were saved and returned to camp Aug 31, 63. Company moved with Reg't from Camp on East Line to Camp on West Line Sep 10, 63.
moved from Camp on West Line to Camp near Stono River Oct 8, 63, where we are now stationed. Nov & Dec 63 James Island S.C.
Company with Regiment moved from Camp near Brigade Head Quarters Dec 2, 1863 to Camp at Presbyterian Church where the Company is now Stationed. Company left Camps on James Island SC, Feb 10, 1864. Marched to Johns Island a distance of 12 miles to meet the Enemy, He however retired without giving us battle. From Johns Island ordered to Savannah Ga ordered to Lake City Fla. arrived at Lake City Feb 17, 1864, 18th went by Rail Road to Olustee station having traveled a distance of about 300 miles by Rail Road excess-28 miles marched. on the 20th Feby theCompany with the Regiment was engaged in the Battle of ocean pond. 22nd Feb marched to Sanderson. 23rd Feb marched to St. Mary's River Camped for the night, 24th Feb marched to Baldwin Fla. 26th Feb marched to Camp Milton Fla where we are now Stationed. Company marched from Camp Milton Fl on Apr 19, 64 marched to #9 Station on the Aa Rail Road a distance of about 80 miles. From #9 came by Rail Road to Savannah, Ga. From Savannah by Rail Road to Charleston SC and marched from St. Andrews Depot to Camp near Fort Johnson where we are now Stationed. Born. 1843 Forsythe Co. Ga.
enlisted 8-10-63 at Atlanta, Ga. Roll Sep/Oct 63 absent, sick in Hospital in Summerville, S.C. Present at surrender near Greensboro, NC. Pension filed in Gilmer Co. Ga.
enlisted 9-9-61 at Camp McDonald, Ga. Roll Dec 61 absent sick since 12-10-61 at Hosp in Richmond, Va. Roll Mar/Apr 64 Deserted from furlough at Pickens Co. Ga. Roll Jan/Feb 64 absent sick in hospital in Lake City Fl. enlisted at Ellijay, Ga., mustered 8-31-61 at Camp McDonald, Ga.
See personal Papers of J.M. Dillingham Co. D 23rd Ga. Roll Nov/Dec 62 CSA Hosp Muster Roll Gen Hosp Liberty, Va.
USA) Deserted from the enemy at Bermuda Hundred 10-29-64 Confined 11-6-64 at Military Prison at Camp Hamilton, Va. by order of Lt. Gen Grant Came here from City Point, Va. Released 11-13-64, went to Pittsburg, Pa.
Died 6-20-64 near Petersburg, Va. He has been unfit to perform the duties of a Soldier, because of advanced age and diseased hip in consequence of a Gun Shot Wound of the thigh which very painfully affects his hip. In my opinion he would be a burden to the service, therefore I recommend a discharge from service. Roll Mar/Apr 64 Deserted from furlough Pickens County, Ga.
Pension filed in Floyd Co. Ga.
enlisted 8-31-61 at Marietta, Ga. mustered at Camp McDonald, Ga. Roll Sep/Oct 63 absent sick at home in Ga. Roll Nov/Dec 63 absent sick at home in Ga. 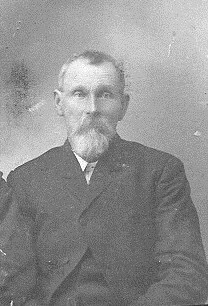 Wife: Elander, filed for pension in Cherokee Co. Ga.
enlisted 6-20-61 at Camp McDonald, Ga.
Born: 3-26-1838 Habersham Co. Ga.
enlisted 9-20-62 at Calhoun, Ga.
enlisted Jan 1862, mustered 8-31-61 at Camp McDonald, Ga. Roll Mar/Apr 63 Deserted from Baldwin, Fl. Cox, Stephen A Brvt. 2nd Lt. Present with 1st Ga. Co. D when surrendered at Kingston, Ga. Applied for Pension 12-23-1915 in Pickens Co. Ga. Wife: Emaline, married 1-3-1869 Pickens Co. Ga.
Died June 1923 Tate Co. Ga. Roll Mar/Apr 64 Deserted from Baldwin, Fl. Born: 1845 Lumpkin Co. Ga. Admitted Gen Hosp Guyton, Ga. 2-29-64 for wounds at Olustee, Fl. Wife: Martha Angeline Seay, married 12-24-1910 Jasper Ga.
Died: 12-21-1929 Pickens Co. Ga. Admitted Gen Hosp #4, Wilmington, N.C. 7-12-63 Debility, P.O. Shols Top, Ga. Roll Jul/Aug 63 On sick furlough at home in Ga. 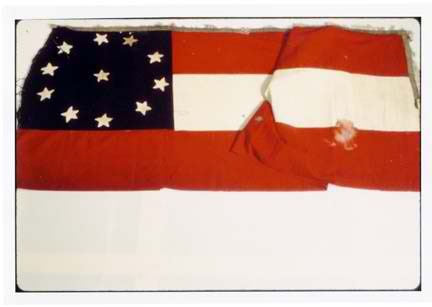 Roll Mar/Apr 64 still absent from wounds from Olustee, Fl. Filed for pension in Walker Co. Ga.
enlisted 9-6-61 Danville, Madison Co. enlisted 9-20-62 Calhoun, Ga.
Paroled at Gen Hosp at Thomasville, N.C.
Was not present at surrender, wounded in hospital at Thomasville 5-1-65, needed crutches, on his way home at time of surrender at Homer, Ga.
Died: 12-24-1899 Jackson Co. Ga. Wife: Mary C. Adington, married 10-15-1868 Jackson Co. Ga.
enlisted as 1st Lt. on 8-31-61 at Camp McDonald, Ga.
Gen Hosp #1, week ending 9-26-62 states Has reported for duty to his Regt. Capt Ferguson writes a letter addressed to Gen Taliaferro Requested 35 day Leave of Absence from James Island, S.C. on 11-28-63 to tend to business that requires his personal attention, since the war broke out he had lost a father by disease and four brothers, casualties of war, except for one brother still with family of small children, mother constantly requested him to come home to tend to his fathers estate and further states, he never has received a furlough of indulgence. enlisted 6-11-61 at camp McDonald, Ga.
Forester, Thomas P Sgt/1st Lt.
Gen Hosp #4, Richmond. Va. in for Chronic Diarrhea for 6 weeks before being furloughed from 7-1-64 30 days to his home Res: Atlanta, Ga. Roll Jul/Aug 63 thru Dec 63 absent, sick at his home in Gilmer County, Ga. Roll Jan/Feb 64 Deserted, suppose to be in Gilmer County, Ga.
Died 3-20-62 at Yorktown, Va. Roll Jan/Feb 64 absent sick at Charleston, S.C. Note: Received 11-6-62 of H.M. Pinkard, Surgeon in charge Palmyra Hospital, 1 shirt, 1 pair pants, 1 coat, $11.12. H.M. Pinkard Co. F 20th Ga. Regt. cards filed with Co. E 23rd N.C. Inf. Born: 3-26-1842 Gilmer Co. Ga.
enlisted 8-61 in Jasper Co. Ga., mustered 8-31-61 at Camp McDonald, Ga.
Died: 3-26-1934 Pickens Co. Ga.
See personal papers of J M Dillingham Co. D 23rd Ga.
Born in Gwinnett County Ga.
Born: 1834 Union Dist. SC. enlisted in Pickens Co. 1861, enlisted 9-19-61 at Camp McDonald, Ga.
enlisted 11-8-61 at Camp McDonald, Ga.
enlisted 9-25-61 at Camp McDonald, Ga. mustered 8-31-61 at Camp McDonald, Ga.
Father: Seaborn R Jackson, Sharp Top, Cherokee County Ga.
Born: 1844 enlisted 9-9-61 at camp McDonald, Ga. Admitted Jackson Hosp 8-17-64 gun shot left leg minie ball, furloughed 11-17-64 60 days to Athens Ga.
enlisted at Talking Rock Ga., mustered 8-31-61 at Camp McDonald, Ga. Detailed on extra duty as teamster 8-31-63 at Dills Bluff, James Island, S.C. Wife: Martha, married 10-17-1867 Oconee Co. SC, filed in Gordan Co. Ga.
Conscripted by J.V.S. 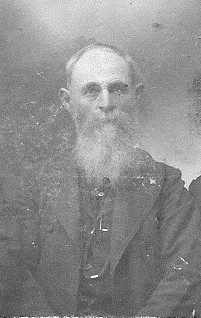 Stover at Pickens County, Ga.
Father; Thomas M Johnson, Wife: Mary E Johnson, Jasper Pickens County Ga. Discharged 1-28-62 at Yorktown, Va. Lung Disease caused by camp life bad weather, and large tumor under shoulder on arm. enlisted in Pickens or Jasper Co. Ga., mustered 8-31-61 at Camp McDonald, Ga. Wife: Mary P, filed for pension in Pickens Co. Ga.
At the age of 78, Mrs. Mary P Caylor applied for a Confederate pension as the widow of David Caylor who served in Company D of the 23rd Regiment, Georgia, Volunteer Infantry. Mary provided vital data: She was a resident of Pickens County, Georgia, and received mail through the Talking Rock Post Office. Mary stated that she was born 4 March 1825 in North Carolina, and that David Caylor was born 1 March 1820 in North Carolina. The couple was married in 1844 in Pickens County, Mary died about 1896.
enlisted 8-24-61 Jasper Ga., mustered 8-31-61 at Camp McDonald, Ga.
Resigned from Brvt. 2nd Lt.
Died 6-27-62 Killed before Richmond, Va. Admitted Jackson Hosp 10-1-64 gunshot wound right thigh, minie ball, passport issued to Taylor County Ga.
Born: 5-26-1836 Rabun Co. Ga. Admitted Wayside Hosp # 9, 5-5-63, reason not stated, sent to Chimborazo Hosp. Admitted Wayside Hosp # 9, 5-31 or 6-1-64 Acute Diarrhea, sent to Jackson Hosp. Filed for pension Gordon Co. Ga. Wife: Josephine, married 9-24-1857 Pickens Co. Ga.
Died: 4-4-1902 Gordon Co. Ga.
Died 6-8-64 of wounds at Richmond, Va. Killed or Died 9-14-62 of wounds from Battle at Boonsboro, Md. Deserted on sick furlough in Murray County Ga.
USA) List of Deserters Received on 5-29-64 in Telton County, Ga.
Deserted since Aug 63 in Pickens County, Ga.
enlisted 9-5-61 at Camp McDonald, Ga.
Born: 1831 Hall Co. Ga.
Died: 1886 Pickens Co. Ga. Wife: Sarah C, married 1854, filed in Pickens Co. Ga.
Resigned 4-14-64, because he was elected tax collector of Pickens County Ga.
24 yrs, black eyes, dark hair, dark complexion, 5’10”, Born in Cherokee County Ga. Note: 2nd Lt. of 36th Ga. Inf. enlisted 10-21-61 at Camp McDonald, Ga. Roll Jul/Aug 63 Discharged 7-11-63 by order of Secretary of War in Consequence of Promotion for Meritorious Conduct in Battle of South Mountain, Md. Died 9-17-62 at Battle of Sharpsburg, Md. mustered 8-31-61 at Camp McDonald, Ga. or enlisted 99-16-61 at Camp McDonald, Ga. Admitted CSA Hosp Petersburg, Va. 6-12-64, remarks: 6-14-64 Raleigh, N.C. Admitted Wayside Gen Hosp #9, Richmond 12-21-64 Boils, sent to Jackson Hosp Richmond, Va. 12-22-64, transferred again to 2-2-65 to Petersburg, Va.
10-18-62 Richmond, Va. remarks: Patient came from Staunton, Va.
Reference envelope only, see also 29th Ga. Inf. Description: dark complexion, dark hair, blue eyes, 5'10"
Simmons, Phillip R Sgt Maj.
Died 1-5-62 at Yorktown, Va. Wife: Mary A Simmons, filed for pension in Gilmer Co. Ga.
See Papers files with case of Virgil M. Bailey Ca. C 43rd Ga. Inf. Born: 10-6-1842 Gilmer Co. Ga.
enlisted Jasper County Ga., mustered 8-31-61 at Camp McDonald, Ga.
Born: 8-30-1838 Habersham Co. Ga.
enlisted 8-61 in Pickens Co. Ga., mustered 8-31-61 at Camp McDonald, Ga. Filed pension in Habersham Co. Ga.
Born: 4-11-1833 Gilmer Co. Ga. Employed as Teamster 9-63 on James Island S.C.
Provost or Hosp Duty to relieve some able bodied man. Filed pension in Cherokee Co. Ga.
enlisted 10-9-61 at Camp McDonald, Ga.
Father: Cader B Stancell of Cherokee County Ga. Roll Jan/Feb 64 absent, sick in Charleston, S.C. Roll Mar/Apr 64 Deserted from furlough in Pickens County, Ga.
Died 6-25-62 in Gen Hosp #14 Richmond, Va. (2nd Ga. Hosp), single, never married, Res: Pickens County Ga.
enlisted 11-4-61 at Camp McDonald, Ga.
Born: 6-20-1840 Cherokee Co. Ga. Wife: Matilda, married 1-24-61 Cherokee Co. Ga.
Died: 12-6-1897 near Sharptop, Cherokee Co. Ga. Admitted Chimborazo Hosp 5-18-6? Rheumatism, transferred to Lynchburg, Va.
enlisted 8-24-61 enlisted 9-25-61 at Camp McDonald, Ga. Came home sick with Dropsy about March 1865, sent home on sick furlough for 60 days just before the surrender. Died: 12-13-1869 Gilmer Co. Ga. Wife: Anna, filed for pension in Pickens Co. Ga.
Father: Abner Wetherby Canton Ga.
enlisted 3-4-62 at camp McDonald, Ga. Filed pension in Pickens Co. Ga.
transferred to the 36th Ga. Inf. Co. L as 2nd Lt. Transferred to Co. E, 23d Regiment Ga. Inf. Pension records show he surrendered at Greensboro, N. C. April 26,1865 . Died 5-26-63 after being transferred to S.C. Hosp Petersburg, Va. Wife: Mileson Worley, Child: Casantino Worley 10 yrs, Canton, Ga.
Demoted to Private from Corporal 2-10-62 = see Papers filed with Armistead W Sisk Pvt. Co. G 23rd Inf. enlisted 8-31-62 Cobb County, Ga. Admitted Jackson Hosp 9-11-64 Chronic Diarrhea, furloughed 30 days 9-23-64 to Athens, Ga. Admitted Orange Court House Gen Hosp, Va. Wounded Sep 64 at Petersburg, Va. Discharged for Disability 4-8-63 Fredericksburg, Va.
enlisted 4-29-62 at Atlanta, Ga. Description: 20 yrs, blue eyes, dark hair, fair complexion, 5’10”, Born in Wallhalla, S.C.